Looking for gifts for Dad’s shop? Your dad likes to putter around in his shop or garage, either as the master fixer-upper or as a faux mechanic, so help him spruce up his work space this year with these fun and manly gift ideas. It’s classic, it’s neon, it’s got the words “muscle” “car” and “garage”, it’s in a V-shape reminiscent of the V-8 engine in his muscle car. 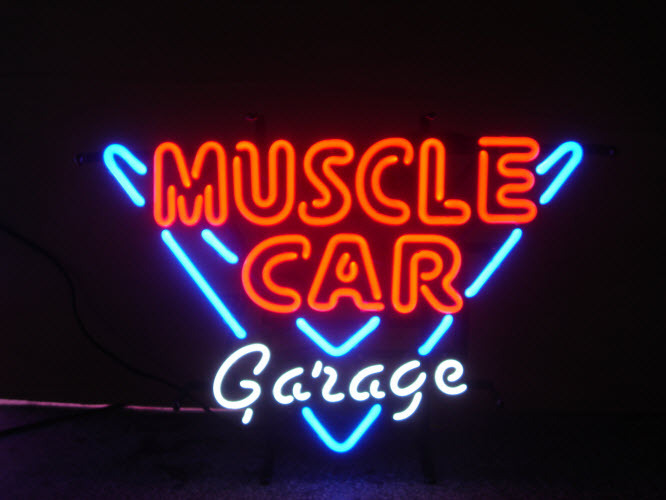 It’s the Muscle Car Garage Neon Sign, the ultimate decorative accent to your manly mechanic’s shop. 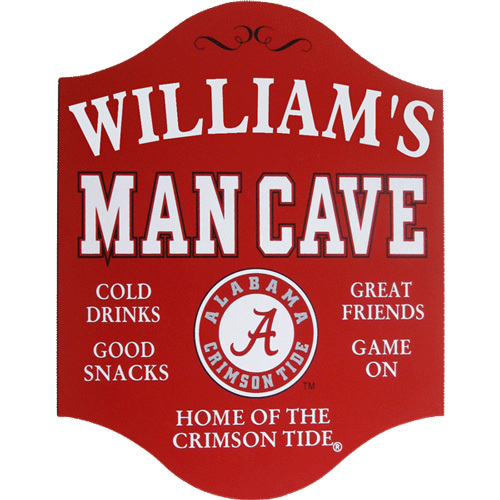 These officially licensed college man cave signs are best-selling gifts for Dad. Available in Man Cave, Fan Cave, Game Room, and Clock designs, complete with team logos and personalization on most. Teams includes the Alabama Crimson Tide, the 2011 and 2012 BCS National Champions, along with Clemson, Florida, Georgia, LSU, Michigan, Nebraska, Tennessee, and more. If it’s a shop, it is also by definition a Fart Zone. 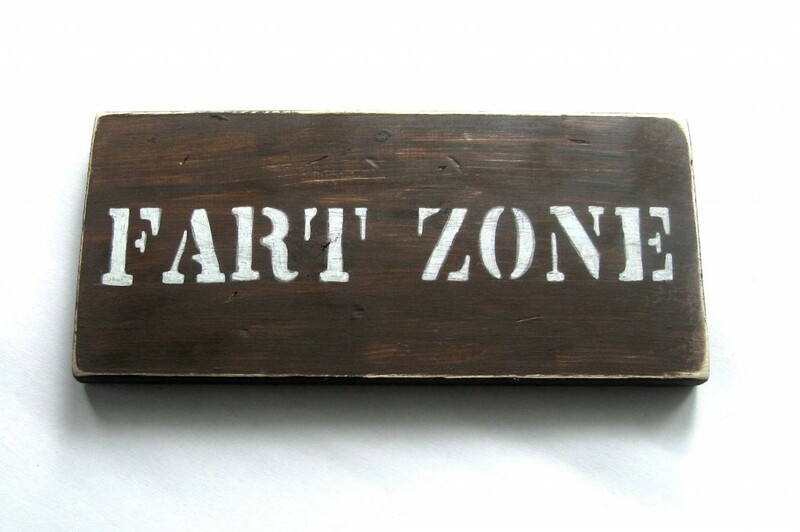 Better let all visitors know by this rustic yet fun Fart Zone Sign. Great gift idea for dad’s shop with a sense of humor. 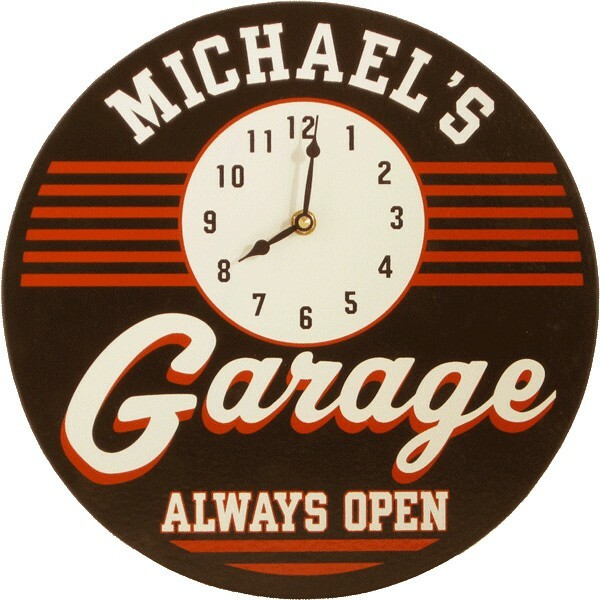 Vintage meets custom with this Garage Clock Sign, a round wooden clock personalized in retro silkscreen lettering as another fun gift idea for Dad’s shop. This particular cog used to be critical in regulating the timing of an engine, and now it will do the same for your Dad’s man cave or shop. 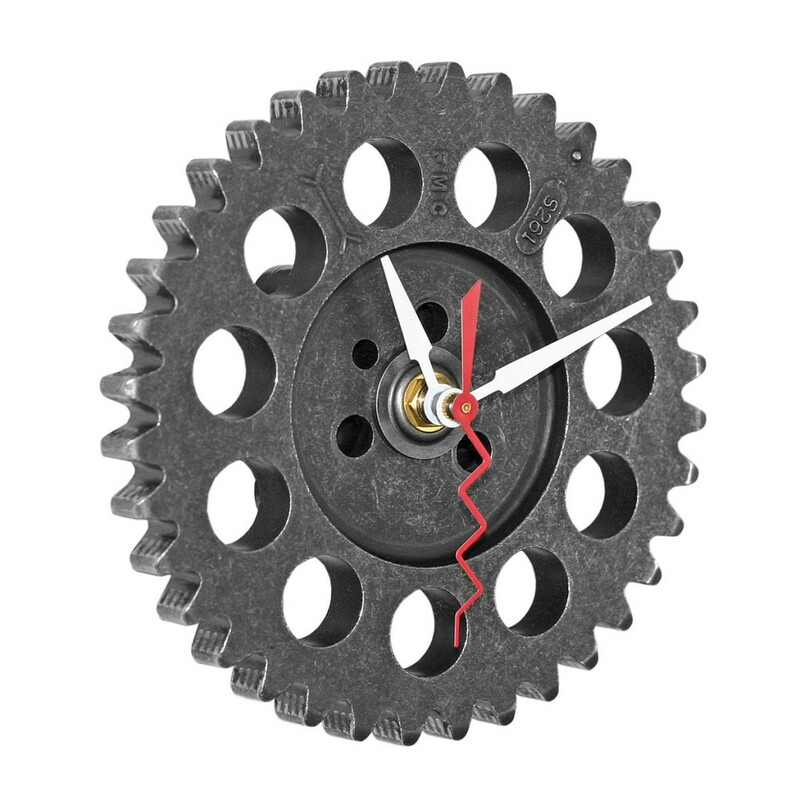 The gears in these unique garage Auto Timing Gear Clocks come primarily from American cars – you can even look up the part number to discover its origin – and the visual detailing of the gear will vary from clock to clock. Handmade in California for your dad. Does your dad like to pop open a cold one as he works in the shop? 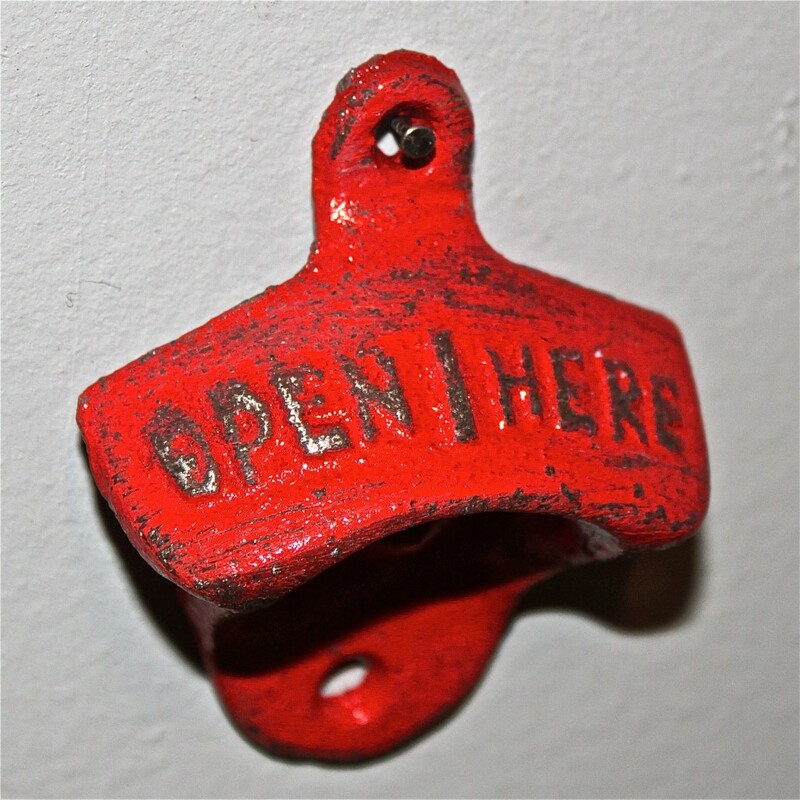 Try an authentic vintage cast iron wall mounted bottle opener. Available in several distressed colors. 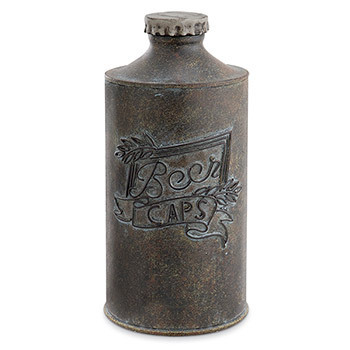 This nifty vintage-style beer can cap keeper makes collecting caps fun with its trendy, faux-antique design. Slide your used beer caps into the slot in the back for easy storage, and remove any time you like by lifting the hinged tab on the underside. It won’t get dinged up laying around on the shelves of Dad’s shop! Vintage style meets practical use in the Coca-Cola Ice Chest Cooler. 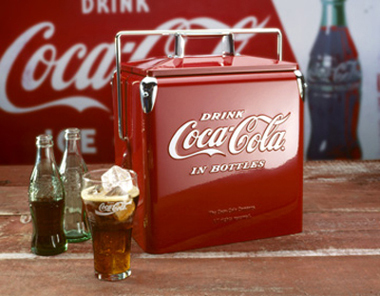 Help dad keep his drinks ice-cold with a retro 1950’s flair in this sleek cooler. Now your dad can look like a mechanic brimming with tools, while actually being the chillax party animal. 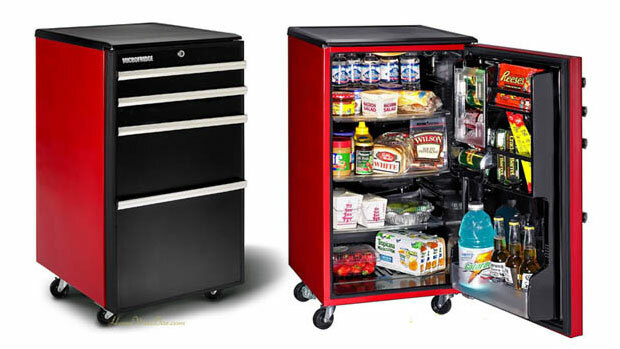 A terrific piece of deceptively useful shop decor, the Craftworks Toolbox Garage Refrigerator is the perfect Father’s Day gift. 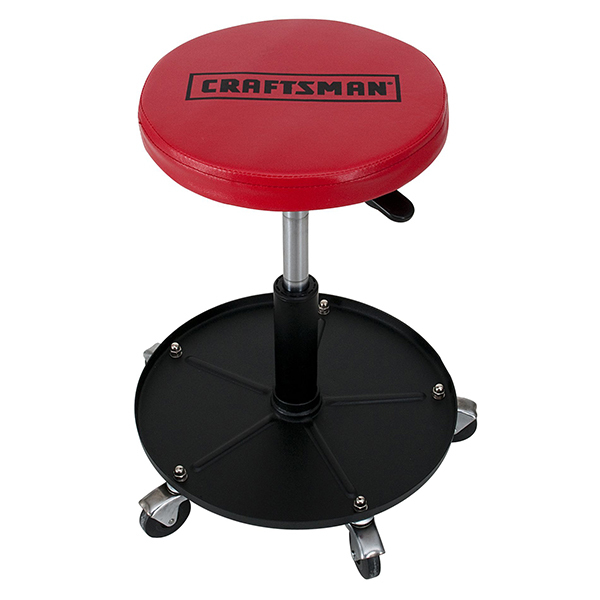 A real mechanic needs a mechanic’s work stool. This beauty from Craftsman has it all: smooth rolling caster wheels, adjustible height, padded seat. The Adjustible Mechanic Seat will be the perfect gift idea for your dad’s shop. A golfing dad needs a great way to store his golf gear. 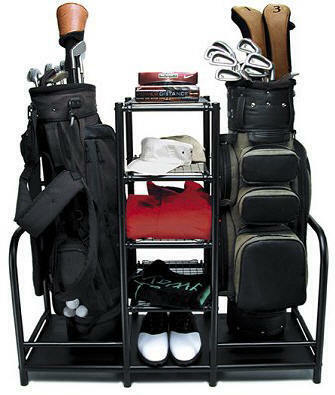 This is where the Golf Gear Organizer Caddie saves the day – space for two golf bags, and five levels of shelving and cubbies to store cleats, hats, golf balls, and other accessories. Help the sporty Dad keep his shop tidy and free from stray rolling balls with the Ball Claw. 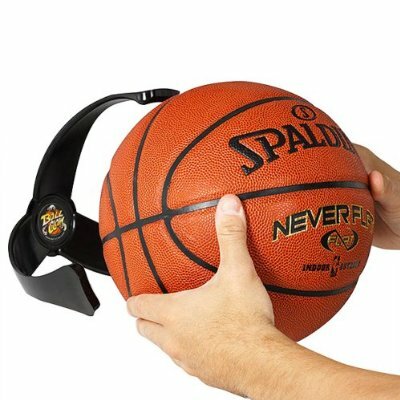 Wall mounted sports storage for basketballs, soccer balls, footballs, and volleyballs. The perfect garage or shop accessory gift. 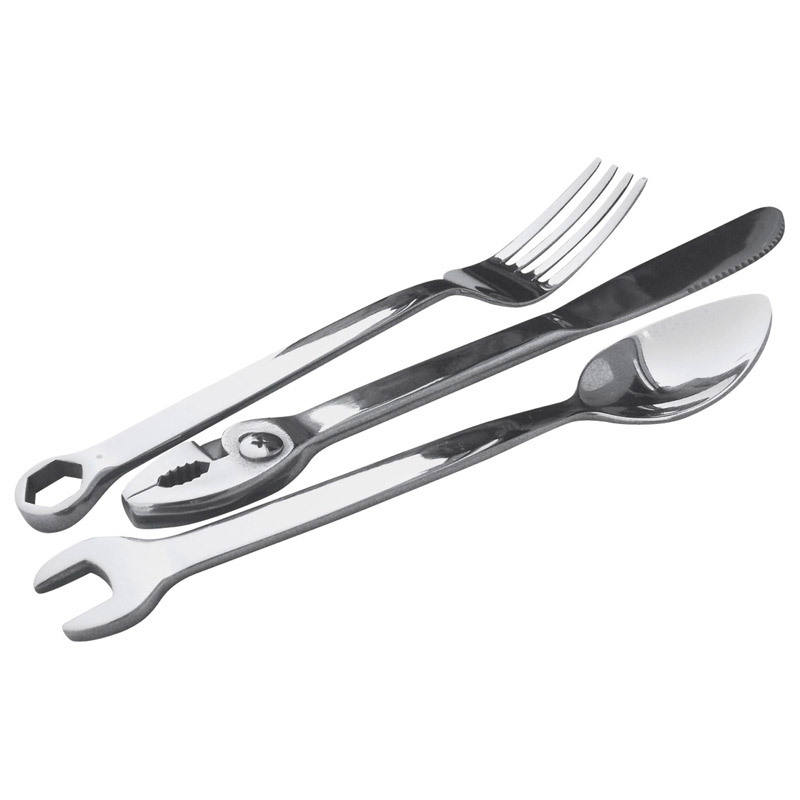 The Mechanic Dad will love these tool flatware eating utinsels, which will help him to keep working in the shop while grabbing a bite to eat in style. Wrenchware come in a heavy-duty ABS storage box, much like all of your Pop’s other tools. 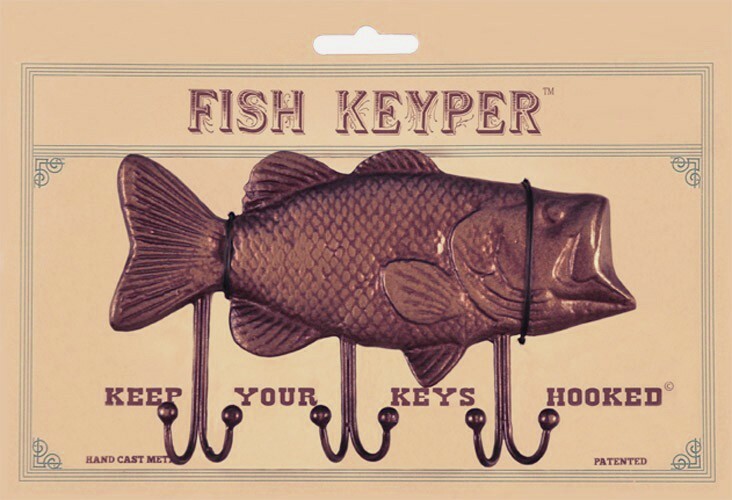 Help the fisherman Dad keep his keys hooked while in his shop with the Keyper, a cast metal Bass fish with six key hooks. Another great wall-mounted shop, garage, or man cave gift idea. Another wooden silkscreened Man Cave Sign, this bad boy is perfect for accenting the walls of the shop of Biker Dad. Personalize it with your dad’s name in classic low rider lettering. 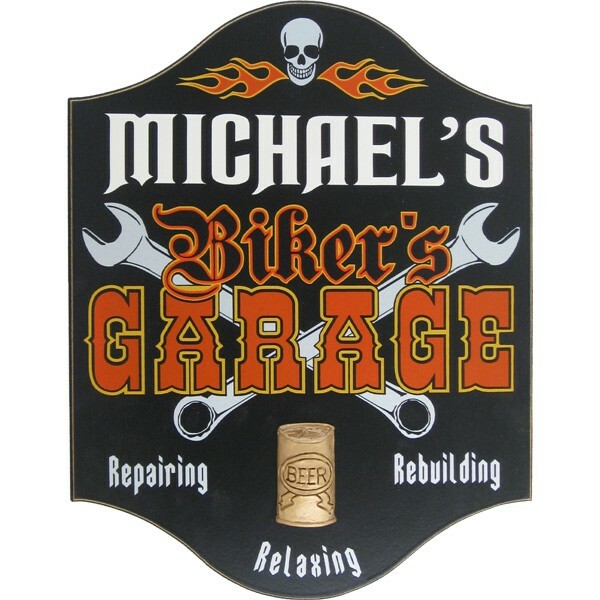 The sign reads, Biker’s Garage – Repairing – Rebuilding – Relaxing. Every gentleman needs a good knife and the Gentleman’s Pocket Knife is a great companion. 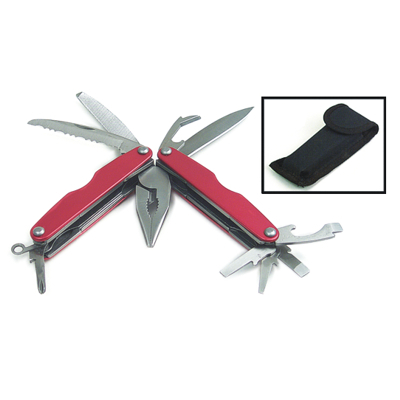 The large, single blade flips open easily and is great for whittling, carving and cutting. The handle has stainless steel ends with a rosewood center and comfortable curved shape. 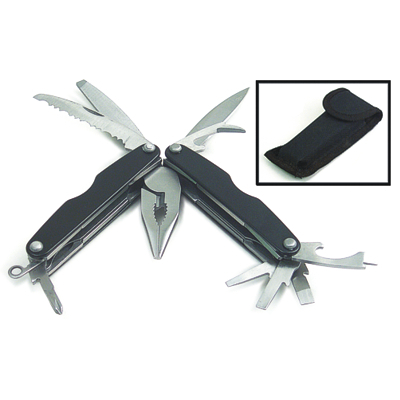 The blade locks when open and there is a finger actuated release on the top of the handle. A hole in the end of the handle allows for a lanyard to be attached. 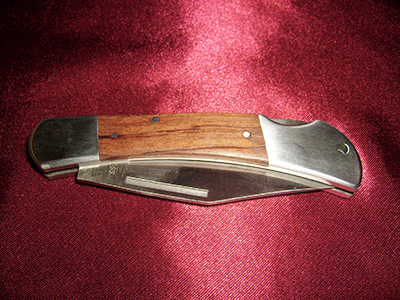 This wood pocket knife is made from Rosewood and features a 3-inch stainless steel blade. 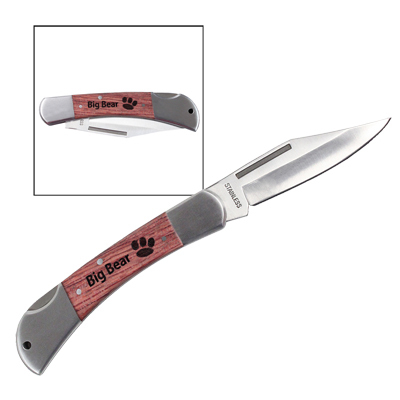 Customized with a name or logo, these personalized pocket knives make great gifts for any occasion! 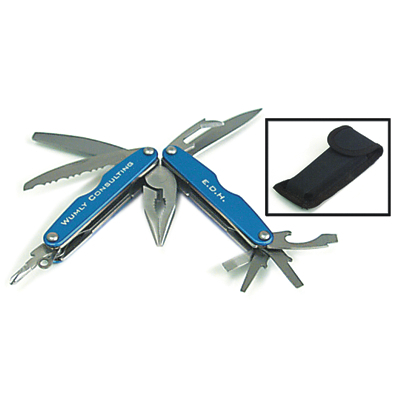 Check out this classy multi-tool and pocket knife, which is available in 3 colors with 10 functions and can be laser engraved with name, initials, company logo, or quotes on both sides. An affordable and unique gift idea from Northwest Gifts! 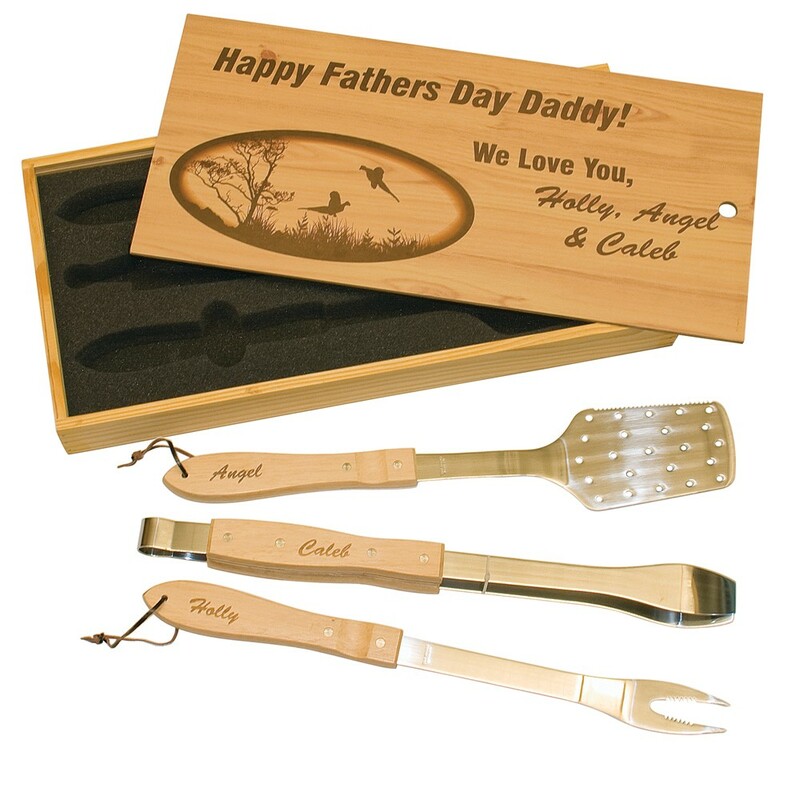 This nifty BBQ grill set is made from real wood (solid maple handles for the stainless steel grilling fork, tongs, and spatula, and pine with maple veneer lid for the box) and each piece can be custom laser engraved with your choice of personalized engraving. A great Father’s Day Gift idea! 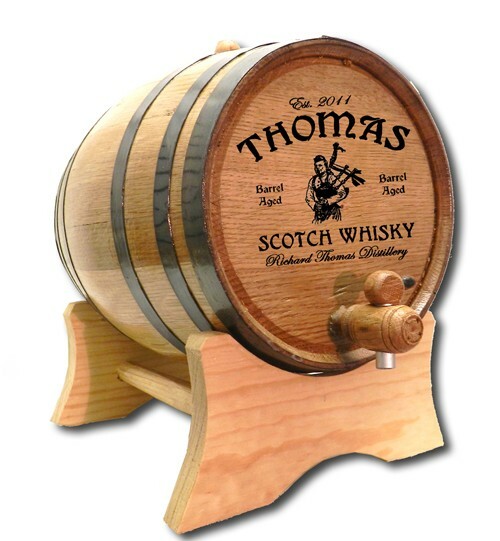 The Bagpipe Scotch Barrel Personalized is a real oak wood brewing barrel which includes the stand, bung, and spigot for devoloping your homemade Scotch or other brew. The barrel head features our Bagpipe Scotch laser etched design, which is personalized with your name, brewery established date, and brewery name. Available in an assortment of sizes, starting at 1 liter for $59.95. Perfect for the DIY home brewer. 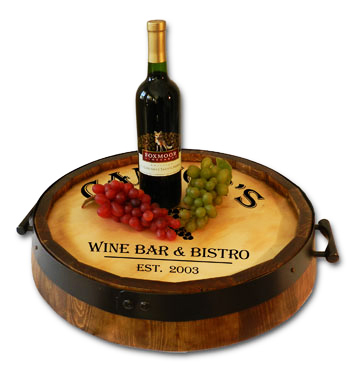 Browse our complete collection of custom oak barrels.